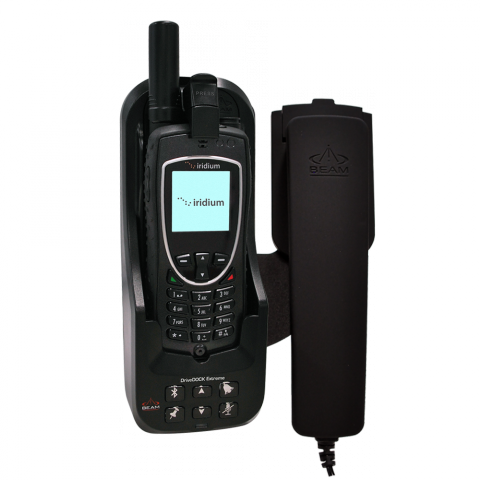 DriveDOCK Extreme supports the use of an optional Intelligent Privacy Handset, that replicates the full functionality of the Extreme handset in another location and supports optional Beam Privacy handset. 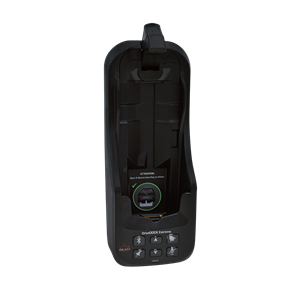 Privacy Handset (Line In/Out):	4-pole 3.5mm audio jack at the bottom of the DriveDOCK cradle. External Speaker and Microphone:	One horizontal 2-pin Microfit connector on the cable loom for speaker and one vertical 2-pin Microfit connector for microphone. Data Port (USB):	USB Mini-B 5-pin female (USB Slave). USB 2.0 compliant, CDC Serial profile. 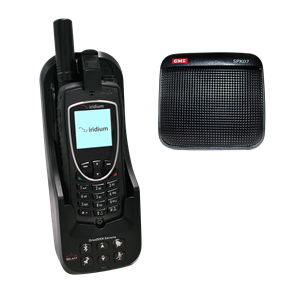 Alarm (Alert) Loop:	Alarm Mode: “Normally-Closed” Loop IN to OUT Up to 50m cable run multiple buttons in series. Brown wire is Input, Green wire is Output. Horn Output / Audio System Mute:	Blue wire on the cable loom. Open collector output can be interfaced to 12V or 24V DC with up to 120mA current sink capability.